Little Rock, Ark. — New England Development opened Outlets of Little Rock in Little Rock, Arkansas, on Oct. 16. The center welcomed thousands of area residents and visitors to shop at Arkansas’ only outlet center. The newest destination for shopping in the region is home to first-to-market fashion retailers: Under Armour, Asics, Bass Factory Store, Brooks Brothers Factory Store, Cole Haan, Levi’s Outlet Store, Lindt Chocolate Shop, Restoration Hardware and Skechers. The center also features national outlet retailers: J.Crew | crewcuts Factory, Gap Factory Store, LOFT Outlet, Gymboree Outlet, Chico’s Outlet, The Children’s Place Outlet, Christopher & Banks | CJ Banks, Clarks Outlet and Express Factory Outlet, among others. Nike Factory Store, Tommy Hilfiger, American Eagle Outfitters, Old Navy Outlet and Banana Republic Factory Store. “We truly appreciate the dedication of the men and women who have worked so hard on this project. Together, we have created an exciting destination that will serve the shopping needs of local and regional residents, help attract thousands of visitors to Pulaski County, provide hundreds of employment opportunities, and generate a significant economic impact on the local and state levels,” said Douglass Karp, president for New England Development. 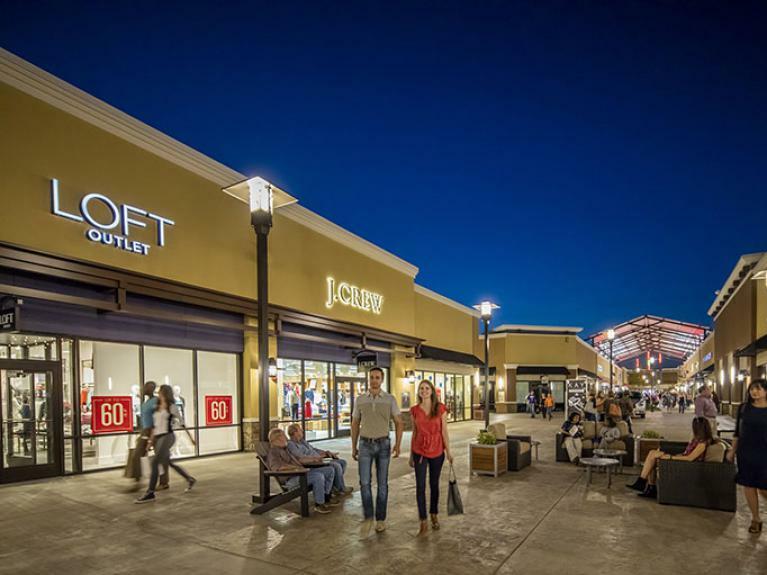 Outlets of Little Rock are projected to have a significant economic impact on the region. The construction phase of the center provided approximately 1,000 jobs, and 800-1,000 people have been hired to work in the stores and at the center. The center is expected to generate approximately $100 million in annual retail sales.